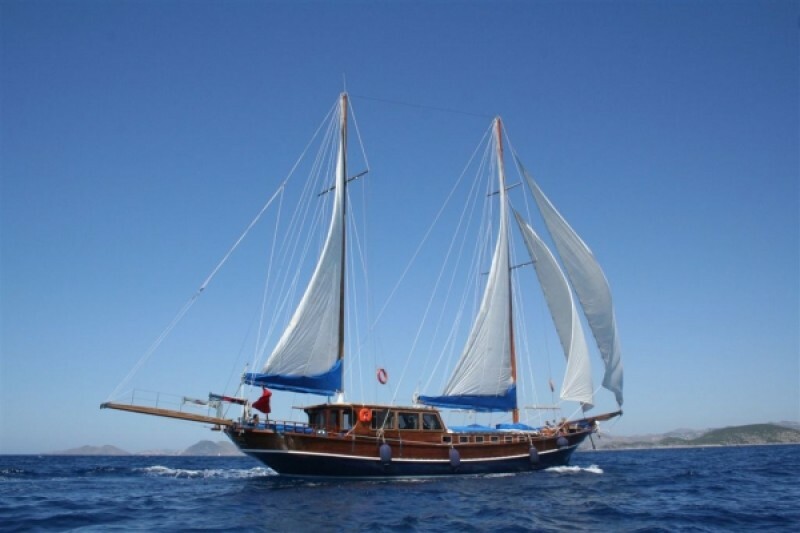 The Luxury gulet Gemibasi is an elegant, beautifully maintained and presented traditional sailing gulet of Turkey and the Aegean coasts. 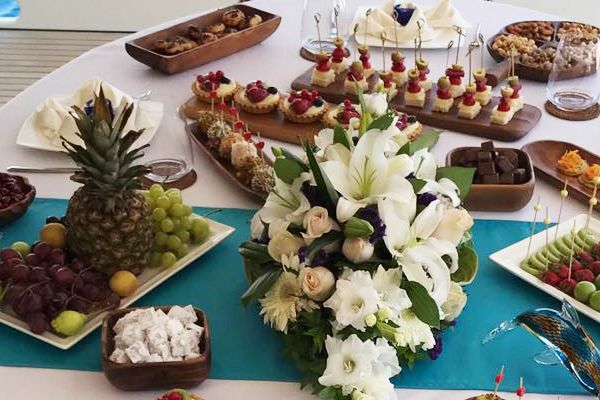 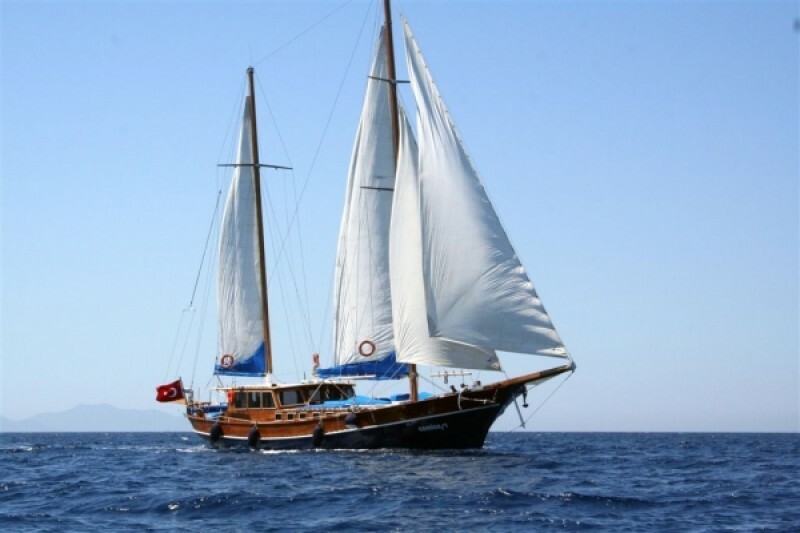 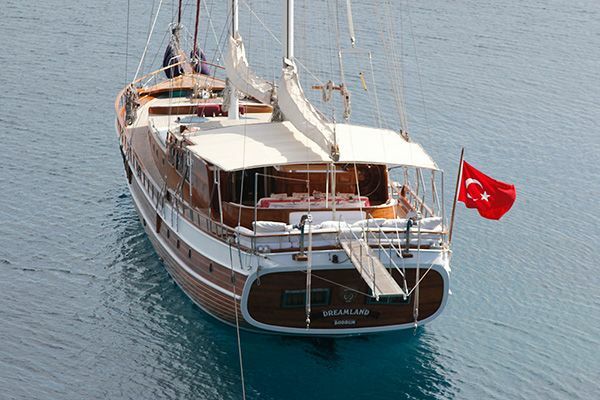 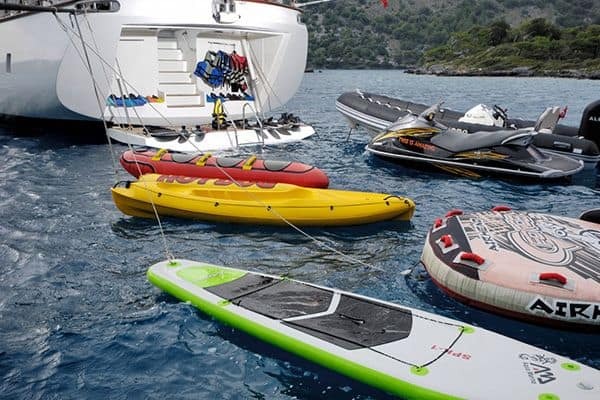 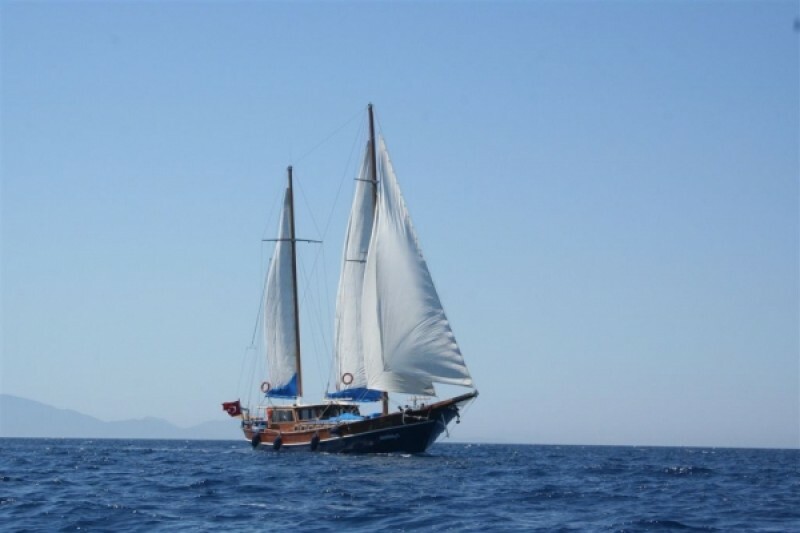 A honeymoon couple, a group of friends or a small family will have treasured memories of a carefree gulet holiday aboard her, pampered by four crew serving excellent food and full attention to their needs. 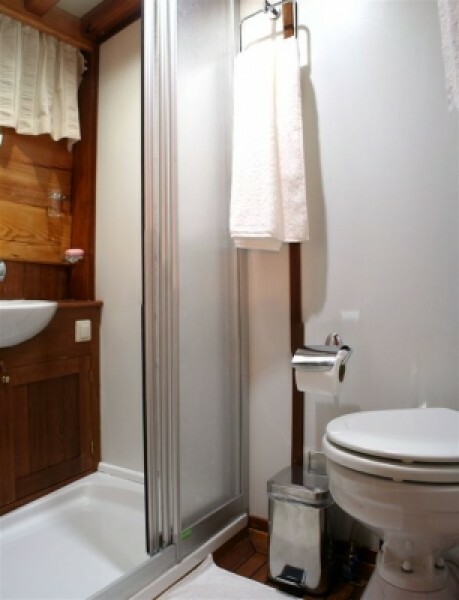 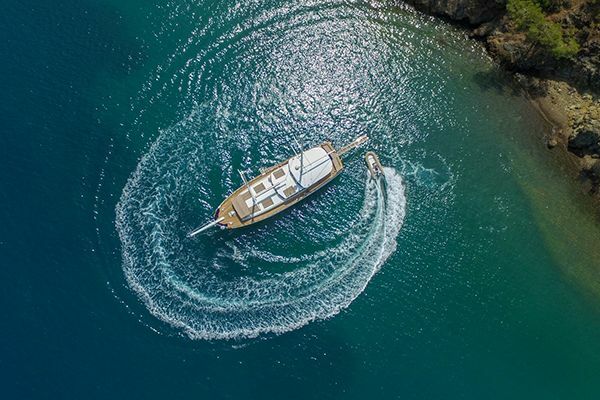 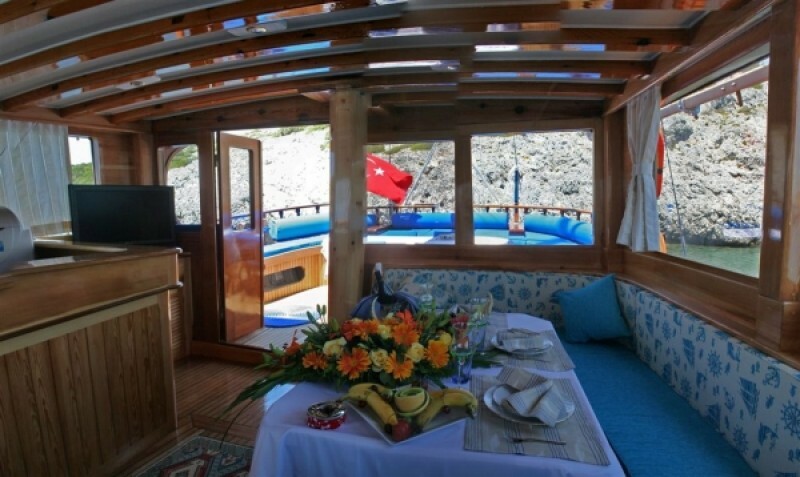 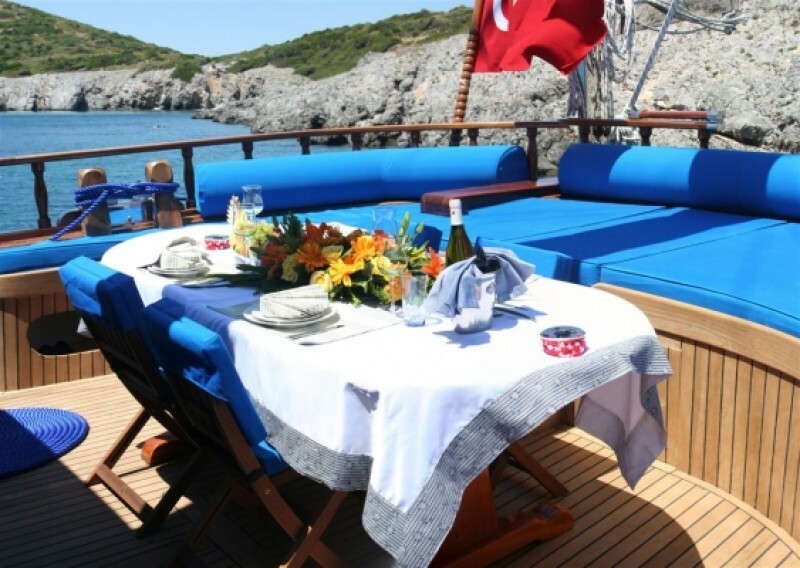 The cosy master cabin on Turkish gullet Gemibasi is located forward and enjoys the width of the boat with space for a double bed and a side settee, storage and the private bathroom. 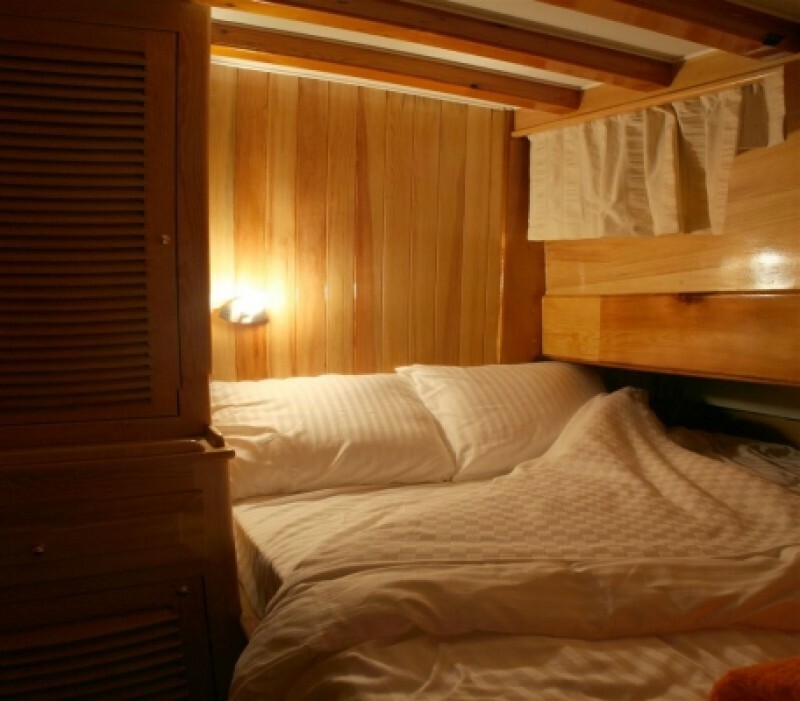 The three smaller double bed cabins, one with an upper single bunk berth, and all with their own private bathrooms, are also located forward of the separate galley and small saloon. 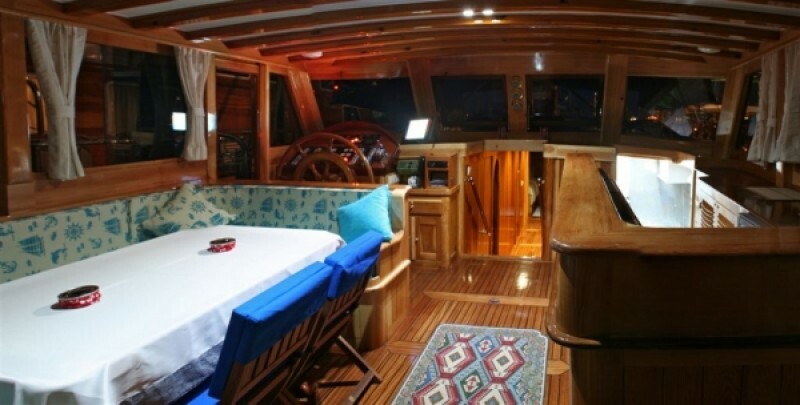 The saloon’s large windows bring in light and air to the inviting dining nook, and to the Captain’s helm and corner. 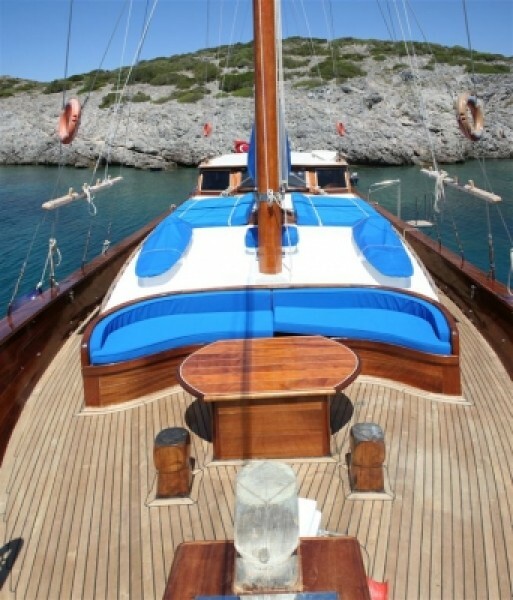 On the aft deck the classic curved stern of a traditional gulet carries the wide cushioned ledge which is the magical place to relax by day or night. 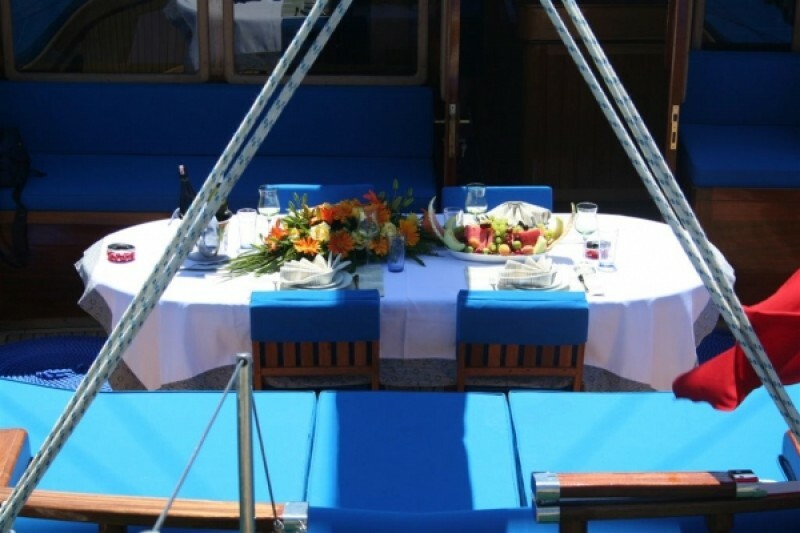 Or it may also serve as part of the seating for the dining table where many a happy meal is enjoyed. 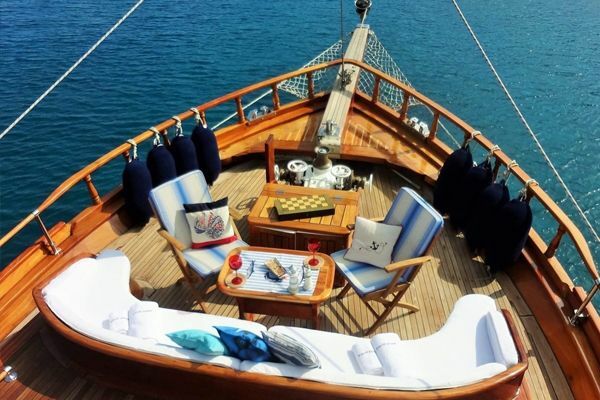 The forward deck carries the sunbeds and the bow seat as more relaxation and sunning areas, though awnings and tents for shade are ready for the crew to set up or to take down for a proper sail. 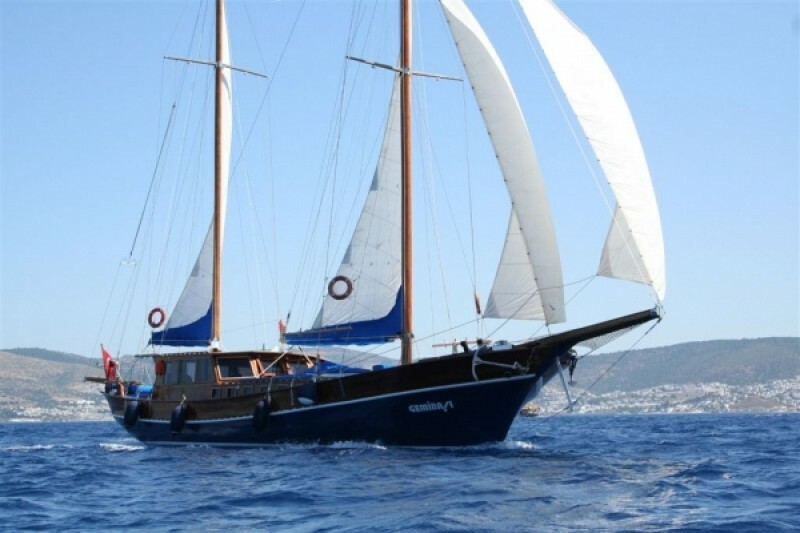 The Gemibasi is one of the true sailing gulets of the region, and is a delight to see, or be on, when moving down the Aegean coasts under sail or motoring for a memorable gulet cruise holiday.